When I first discovered open source, the idea of building a business around it seemed counterintuitive. However, as I grew more familiar with the movement, I realized that open source software companies were not an anomaly, rather a result of the freedoms open source offers. As GNU project founder Richard Stallman said of free software, it's "a matter of liberty, not price." Open source is, above all, about the unhindered liberty to create. In this sense, the innovation and creativity demonstrated in open source business models is a testimony to the ideals of open source. Although most open source projects do not start as or evolve into companies, companies can grow with open source at the heart of their business model. If you'd like to build a business around open source, here are four successful models to consider. Red Hat is the most obvious proof that selling open source software can be profitable. Like Canonical, it offers its software for free and charges enterprise users for technical support services. Red Hat also sells subscriptions to its "premium" distribution, Red Hat Enterprise Linux, which appeals to enterprise users due to its rigorous testing and stability. Finally, the company sells enterprise software certifications, which allow employers to find highly skilled IT professionals who have been certified by Red Hat and have demonstrated proficiency with Red Hat software tools. The Mozilla Corporation is a for-profit subsidiary of the nonprofit Mozilla Foundation that generates earnings to be reinvested back into Mozilla's open source projects. 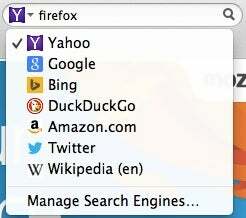 The Mozilla Corporation earns its revenue from partnerships with companies such as Yahoo, Google, and Amazon, which pay to be included as built-in search options in the Firefox browser. For example, in 2014 Yahoo struck a deal with the Mozilla Corporation to make Yahoo the default search engine in Firefox—in exchange for a $375 million annual payment. MySQL charges for enterprise-oriented, premium features that are not included in the software's basic version. It also sells support services. The Oracle-owned company, which describes itself as "the world's most popular open source database," offers a freely downloadable version of its software, as well as three enterprise versions with annual subscriptions ranging from $2,000 to $10,000. Each subscription tier includes certain additional features that are not present in the free and open source version but might be useful for enterprise use (for example, external authentication modules). Companies can also make money from open source software by selling it as cloud-based software-as-a-service (SaaS). WordPress.com is one example of this model. WordPress is an open source content management system (CMS) that has to be hosted on a web server, whereas WordPress.com is a privately held hosting service that runs using the WordPress CMS. This popular service makes it easier for non-technical users to use WordPress-based blogs or websites; it helps them establish websites without having to deal with the intricacies of installing the WordPress CMS or locating and configuring web hosting. Its success earned Automattic, the company behind it, a valuation of over $1 billion in 2014. Absent from this list is the "donationware," or "pay-what-you-want," model for generating revenue. No large open source company has successfully survived solely on donations. Nonetheless, these other four business models—and the successful companies that have adopted them—are the proof that open source software can be at the heart of a sustainable and profitable business. Daniel Rubinstein - I'm a Computer Science undergraduate student at Duke University interested in software engineering and open government. Great article! Open source does pay well and it benefits everyone involved. Thanks for the summary. You should also add "open-core" to this list: open-source your backend, frameworks, libraries, etc. & sell a nicely-packaged commercial version with a slick graphical frontend, analytics & orchestration tools, partner plugins, etc. CoreOS Tectonic is a good example of this model. Business model is more than revenue streams. It also includes customer segments, how the company interacts with customers (direct? ), value prop, resources, costs, partners and expenses. A good tool for talking about business models is the business canvas approach. See the Book "Business Model Generation" for a good discussion of what makes a business model.